Teachers have attacked the government’s record on child poverty, saying they have witnessed at first hand the effect on the children they teach. Speaking ahead of the release of the latest official figures on child poverty released today, NASUWT general secretary Chris Keates said: “If, as expected, the figures show that child poverty levels have risen yet again, this is a shameful indictment of the economic and social policies of the Coalition Government. “It is equally shameful that the government is committed to continuing the policies which have led to this anticipated rise. “Teachers are witnessing firsthand the impact of poverty on the children they teach. 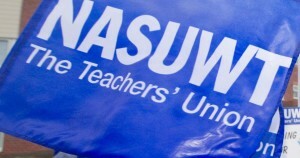 Three-quarters of teachers recently surveyed by the NASUWT say they have witnessed more and more children coming to school too hungry to concentrate and without clothing and footwear appropriate to the weather conditions. “Children are increasingly being denied educational opportunities because of their parents’ inability to pay for educational visits. “Evidence shows that too many young people are choosing subject options on the basis, not of their skills and aspirations, but on the basis of whether their parents can afford the books, equipment and other resources a particular course demands. “Schools and teachers are being left to pick up the pieces. The shattering of children’s life chances cannot simply be regarded as collateral damage. This entry was posted in Children and Youth, crime and civil liberties, Education, Health, Housing and tagged austerity, child poverty, Education, Humanity, NASUWT by adminthinkleft. Bookmark the permalink.